This is a simulation of the "One-Son Policy." To control a countries population, the leaders decide to allow families to continue to have children until they have a son. Under this policy, some families may only have one child. Other families may have many children. 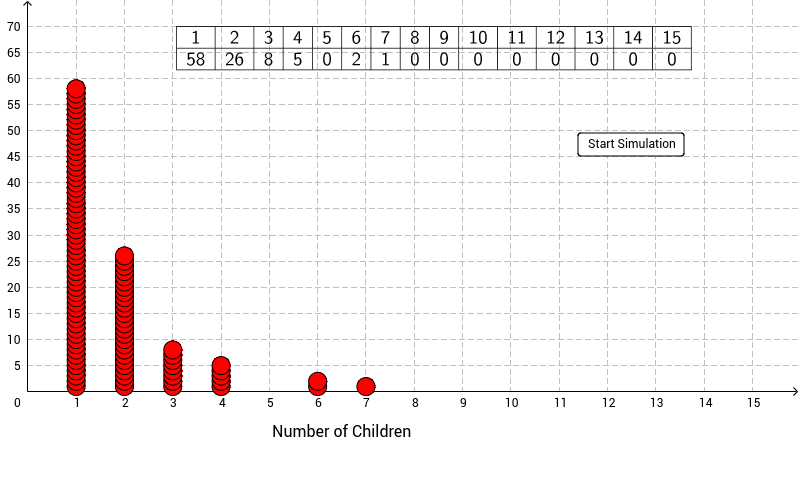 In the simulation, we simulate the number of children in 100 families.